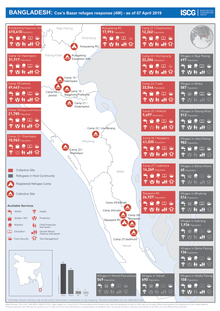 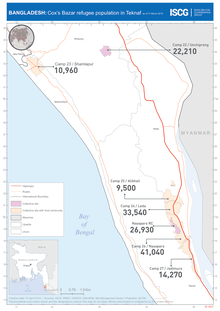 Since August 2017, an estimated 728,306 Rohingya refugees have arrived in Bangladesh’s Cox’s Bazar district from Myanmar, bringing the total number of refugees residing in Cox’s Bazar, to approximately 906,527. 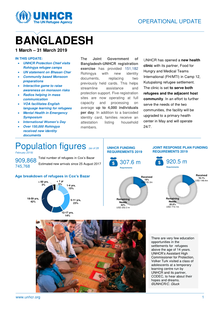 The rapid and massive increase of the refugee population, concentrated in the south of the district in Ukhia and Teknaf, has reportedly had a substantial impact on Bangladeshi host communities’ food security, economic vulnerability, market access, labour opportunities and environment. 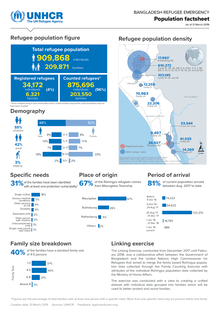 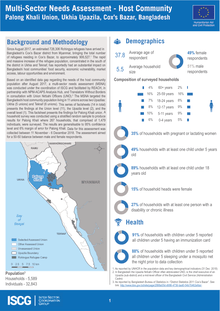 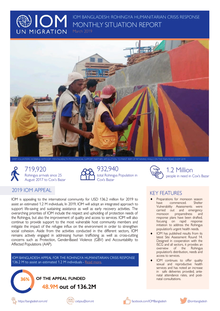 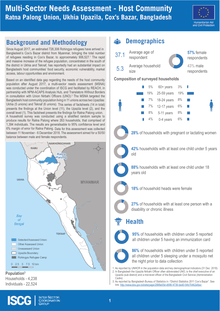 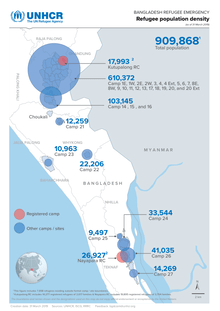 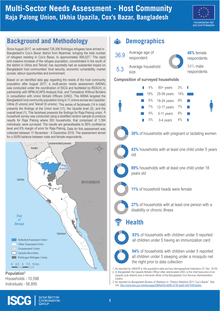 Since August 2017, an estimated 728,306 Rohingya refugees have arrived in Bangladesh’s Cox’s Bazar district from Myanmar, bringing the total number of refugees residing in Cox’s Bazar, Bangladesh to approximately 906,527. 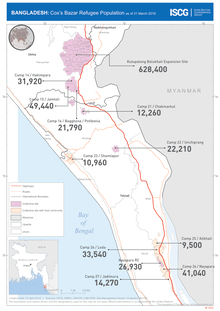 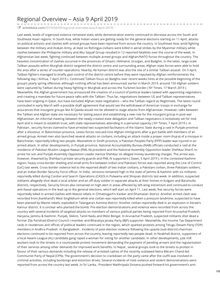 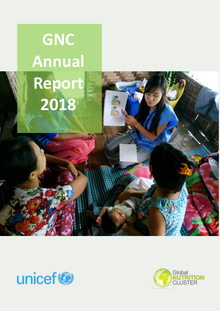 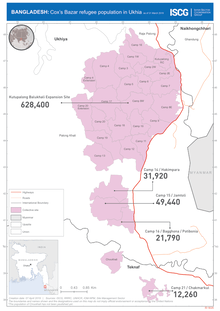 The rapid and massive increase of the refugee population, concentrated in the south of the district in Ukhia and Teknaf, has reportedly had an substantial impact on Bangladeshi host communities’ food security, economic vulnerability, market access, labour opportunities and environment.